Our new Online Store allows you to browse & select your item at the click of a button. 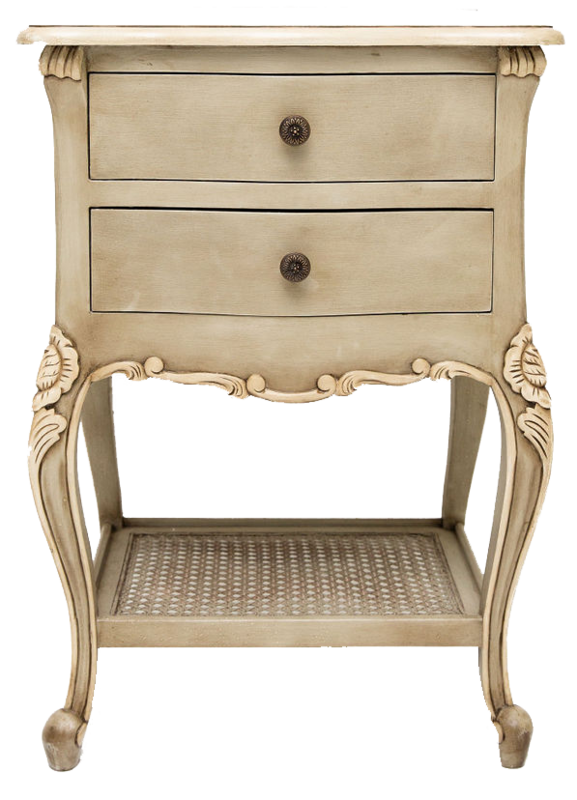 Welcome to the home of French style furniture. As South Africa’s leading French furniture and homeware store, our aesthetic is about combining classic & bold French-inspired design within a South African space. 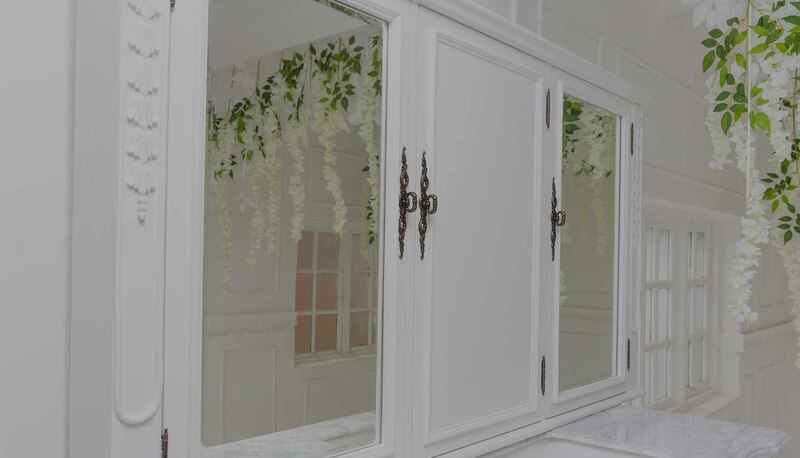 For the past 15 years Cottonwood has specialised in importing gorgeous French reproduction furniture for the bedroom, as well as bathroom vanities. 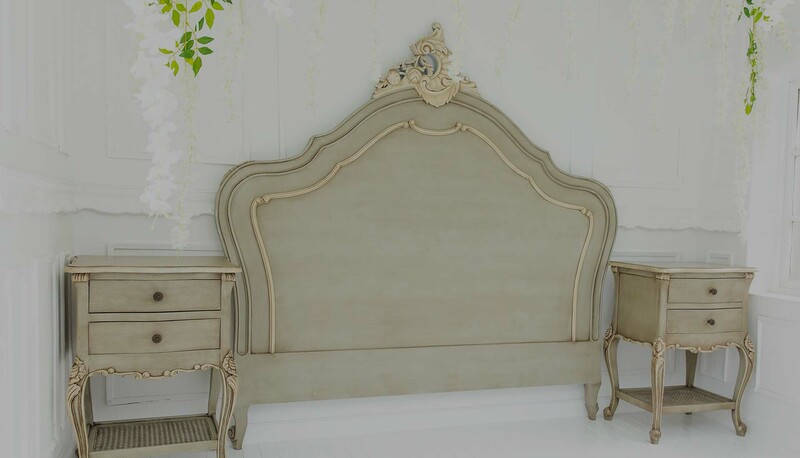 But now we are moving in a new direction, by working hard on selecting key items that are far more affordable yet still hold the French look & feel that you have grown to love. 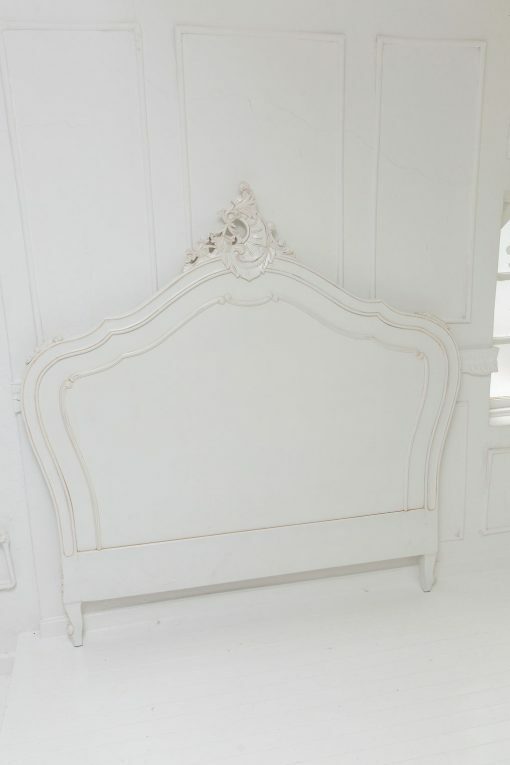 We have a wide range of products for your Bedroom & Bathroom. These are some of the best! 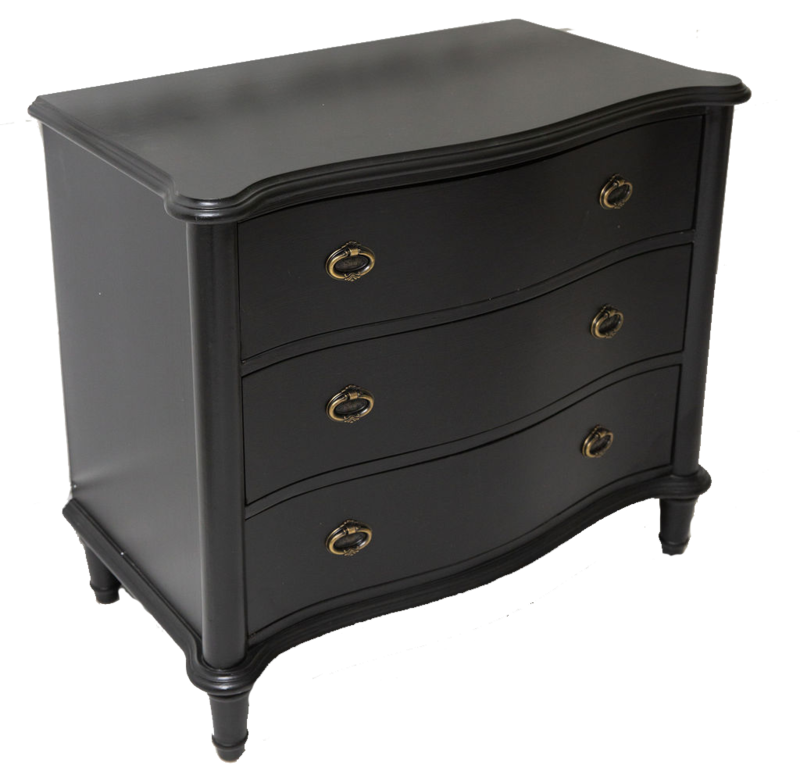 We have a wide range of beautiful French style commodes and chests that add that extra touch to your bedroom. 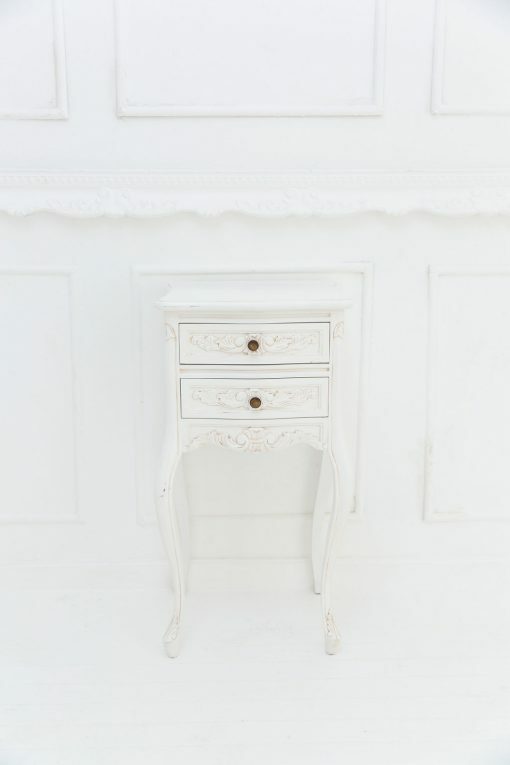 This is the Bombay style bedside chest, perfect for the bigger room or used as a chest of drawers. 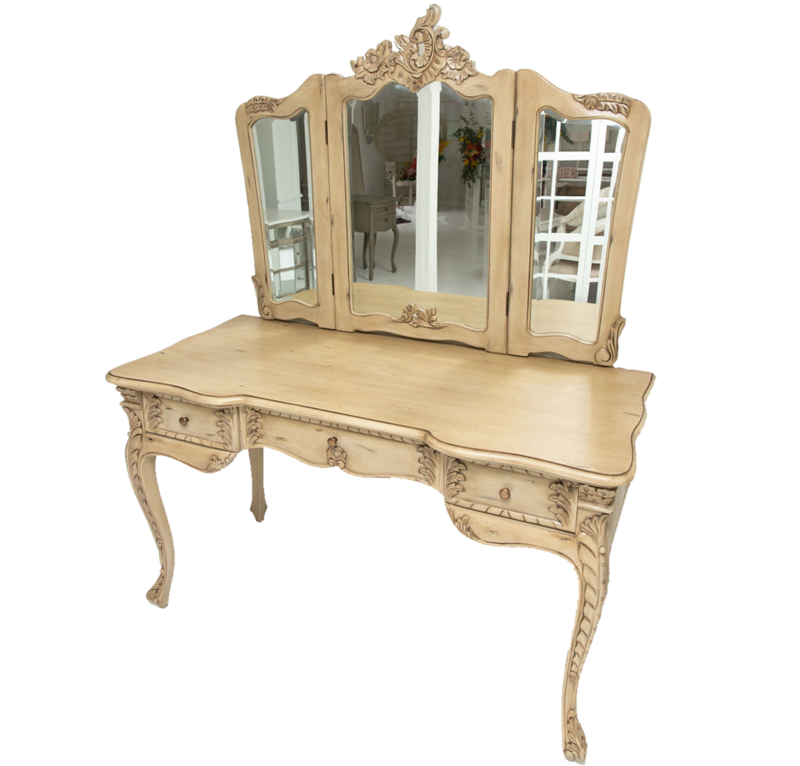 We can see you getting ready in front of this beautiful Shabby Putty triple mirrored dressing table. Can’t you? 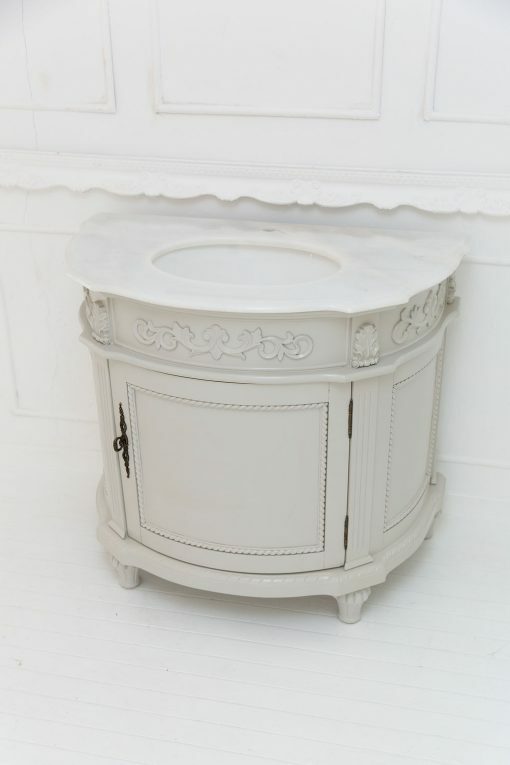 The perfect addition to any bed, this Shabby Putty bedside pedestal with rattan shelf is just stunning! Browse & select your items through our online store. Easy & convenient! We deliver to your door. View our delivery prices. Spend R10 000 or more & get FREE DELIVERY! We are happy to return any item, BUT a delivery fee may be charged. Use your credit or debit card. It’s safe & secure!